Local photographer Jenelle Bonifield of Food & Lifestyles was crowned the winner in the Pink Lady Food Photographer of the Year’s produce category as the Errazuriz Wine Photographer of the Year. Bonifield’s image, “Press 2” was taken at LDV Winery in southern Arizona. Over 7000 images were entered from 60 countries in the prestigious competition. The distinguished panel of judges included Jamie Oliver’s photographer David Loftus, Ruth Rogers of The River Cafe, The Telegraph’s Xanthe Clay, and Nigel Atherton, Group Editor, Photography, Time Inc. Food & Lifestyles’ image was shortlisted for this competition celebrating excellence in food photography, before moving on as a finalist in the top 400 images. On Tuesday, April 26, at London’s world-renowned Mall Galleries, the winners were announced. Bonifield, chose to photograph LDV Winery because of its pristine skies, gorgeous lighting, and beautiful grapevines. Bonifield often makes the three and a half hour road trip from Phoenix to LDV Winery, which is nestled in the Chiricahua Mountain foothills. 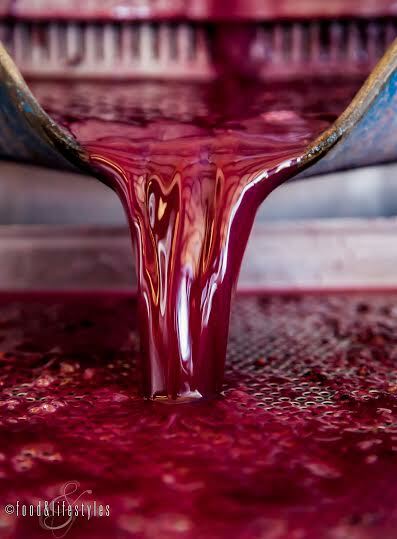 “I was hands-on helping with the pressing of the grenache at the time I photographed the image. I have a passion for the Arizona wine industry and the people behind it. By receiving this international award, I am continuing to promote the Arizona wine industry with my work,” said Bonifield. For more information on LDV Winery and team behind the LDV Wine Gallery, visit www.LDVWinery.com. For more information on photographer Jenelle Bonifield, visit www.foodandlifestyles.com.